Chesapeake, VA Chiropractor :: Dr. David N. Block Family Chiropractic :: Dr. David N. Block, D.C. If you suffer with fibromyalgia, you are not alone, as Dr. David N. Block Family Chiropractic sees many patients with this particular syndrome in our Chesapeake chiropractic office. Actually, the Centers for Disease Control and Prevention (CDC) reports that roughly two percent of all adults in the US have fibromyalgia. Thankfully, chiropractic is one treatment option that can provide positive results. In a medical study released in mid-2015, 215 women and men with fibromyalgia were evaluated based on factors ranging from pain to quality of sleep to the levels of depression symptoms and anxiety they felt. Then they were split into two groups with one group receiving a multi-modal therapy plan for three months and the second group receiving the same program plus chiropractic care (specifically, to the upper neck tissues) for the same length of time. The individuals who received chiropractic adjustments in conjunction with the multi-modal therapy program reported greater benefits in all areas (pain, sleep, depression, and anxiety) at three months post-treatment when compared to the study patients who received multi-modal treatment without chiropractic. Additionally, those positive benefits were long-lasting as the individuals reported continued improvement one full year later. Fibromyalgia can substantially reduce your quality of life, both mentally and physically. If you're struggling with fibromyalgia, we might be able to help. You don't have to suffer! To see what Dr. David N. Block Family Chiropractic can do for your fibromyalgia, call our Chesapeake chiropractic office today. Unfortunately, a large number of our Chesapeake patients know the pain caused by a herniated disc all too well. Fortunately, Dr. David N. Block Family Chiropractic has helped many people with disc pain, and a number of research studies have verified that chiropractic care can help patients recover from this kind of condition. 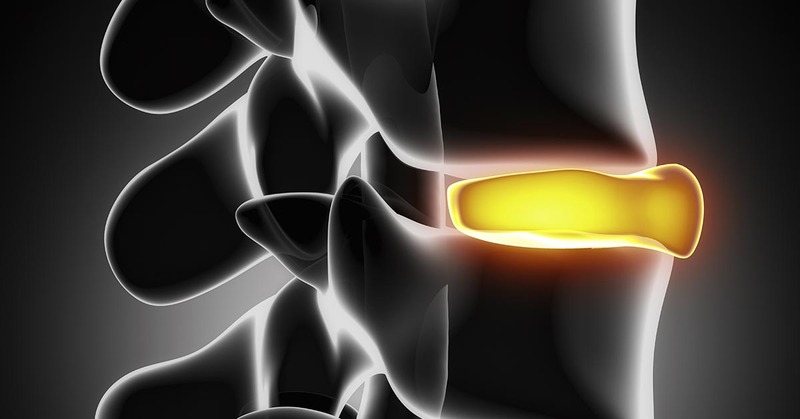 In one report, researchers from Switzerland selected 148 patients who were dealing with pain in their lower back and legs due to a herniated disc (which was confirmed through magnetic resonance imaging, or MRI). Each person then received chiropractic adjustments that focused on the area of his or her disc problem. Results were obtained after the initial treatment session at set intervals--namely, 2 weeks, 4 weeks, 12 weeks, 6 months, and 1 year--to find out what kind of short-term and long-term effects, if any, chiropractic care offers when it comes to treating this particular condition. Among the information collected was the person's self-reported changes in both back and leg pain. Investigators found that, as a whole, the study participants reported "significant improvement" for both types of pain every time the results were collected. In fact, over 90% of the individuals claimed that their pain "improved" within the first three months, with 88% still citing improvement one year after their first treatment session. Even those people who were defined as "chronic" still reported an improvement in pain at a rate of 89 percent one year beyond when treatment first began. This is the same positive result that was found in the following case study. In this paper, a 26-year-old man had presented with disc herniation symptoms such as pain in the lower back, left leg, and left groin area, along with left foot drop and muscle weakness. He had endured these symptoms for more than two years after sustaining an athletic injury, and his herniated disc was confirmed via MRI. Studies like these show how helpful chiropractic can be when it comes to alleviating herniated disc pain and reducing the symptoms they bring about. So, if you are suffering from back ache caused by a herniated disc and want to find some relief, chiropractic may well be an effective solution. Don't suffer from chronic herniated disc pain. Give our Chesapeake office a call today at (757) 436-5428 for a consultation or appointment. 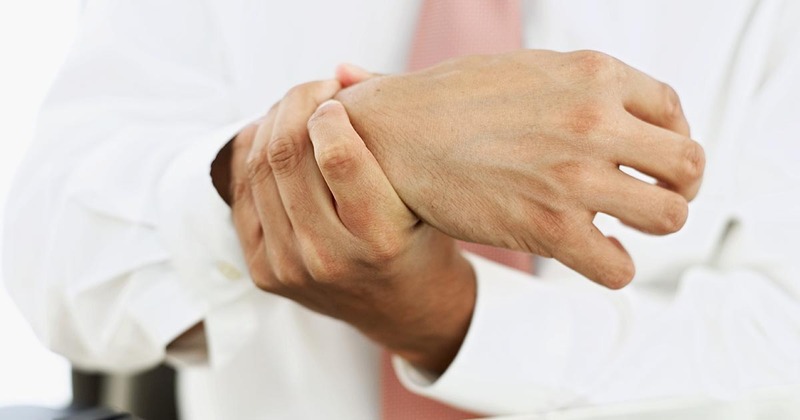 Dr. David N. Block Family Chiropractic sees a lot of patients struggling with carpal tunnel syndrome in our busy Chesapeake chiropractic office. While some people think that the source of this wrist-related pain is muscular, it's really a condition that arises from the nerves--and not just the nerves in your hands. A recent study published in the Journal of Orthopaedic & Sports Physical Therapy assessed 71 women between the ages of 35 and 59 who were diagnosed with carpal tunnel syndrome. Upon studying the subjects' neck range of motion, the researchers discovered that the women had reduced cervical flexibility when compared to a healthy control group. Furthermore, they also found that the degree of the women's reported carpal tunnel pain was related to the lateral flexion of the cervical spine. In short, the less mobility in the neck, the greater the level of pain. This study is extremely important, as you can't effectively treat a condition until you fully understand its cause. By understanding that the root of carpal tunnel symptoms is in the neck, this means that all-natural approaches such as chiropractic can often restore normal function, reducing the need for risky surgery. If you are suffering from carpal tunnel pain, call our Chesapeake office and ask how Dr. David N. Block Family Chiropractic can help you get relief! In our Chesapeake practice, Dr. David N. Block Family Chiropractic has helped several patients heal from back problems. If you suffer from back pain, you've most likely been tempted to take some medications to reduce the discomfort. You should know that studies have shown that chiropractic is oftentimes a better approach than drugs when it comes to alleviating this common type of pain. In a 2013 report published in the medical journal Spine experts included 101 people who had suffered back pain for at least 48 hours. Each individual was then assigned to one of three groups. The first group, which was made up of 37 patients, received chiropractic treatment and a placebo of the drug diclofenac. The second group of 38 patients received fake chiropractic treatments and the real drug. The third group of 25 individuals acted as the control as those individuals received sham chiropractic and also received the placebo, thus having no real treatment whatsoever. All of the people who received some form of real treatment, whether through chiropractic care or the NSAID, fared better than the control subjects who had no actual therapy. However, when the two active groups were compared to one another, the subjects who received chiropractic care had improvements that were "significantly better" than those who took the drug diclofenac. Because chiropractic care is non-invasive and involves no use of medication, it helps promote healing without undesirable side effects. For instance, anti-inflammatory drugs can result in ulcers, hypertension, and other serious health issues. Plus, the health benefits of chiropractic care last longer as it's intended to correct the source of the problem, not just treat the signs and symptoms. If you're ready to get help for your back pain naturally, then chiropractic is for you. Call and make an appointment in our Chesapeake office with Dr. David N. Block Family Chiropractic today at (757) 436-5428. We'll help improve your back pain in a healthy way! If you are suffering from back pain after a car crash, don't worry. Dr. David N. Block Family Chiropractic sees this type of problem very often in our Chesapeake office. Let's take a look at why back pain is commonly experienced after an auto injury and see how chiropractic can help you heal. During a rear-end car crash, your car and car seat are quickly accelerated forward against your torso. Since car seats don't perfectly align with the curvature of your spinal column, the car seat can put inconsistent pressure on your back. This can cause some of your spinal vertebrae to move in one direction while an adjacent vertebrae might move in another direction. This differential movement can sprain or strain the structures that hold your spine together. This type of injury can cause chronic back pain if not treated right away. Thankfully, chiropractic is one of the most effective ways to treat back pain. Dr. David N. Block Family Chiropractic is here in Chesapeake to help you recover from back pain. We've been helping patients since 1993 and we can probably help you, too. First, we'll do a careful examination to establish the root cause of your problem, and then decide how to restore your body's natural functioning. Give our office a call today at (757) 436-5428 to make an appointment. 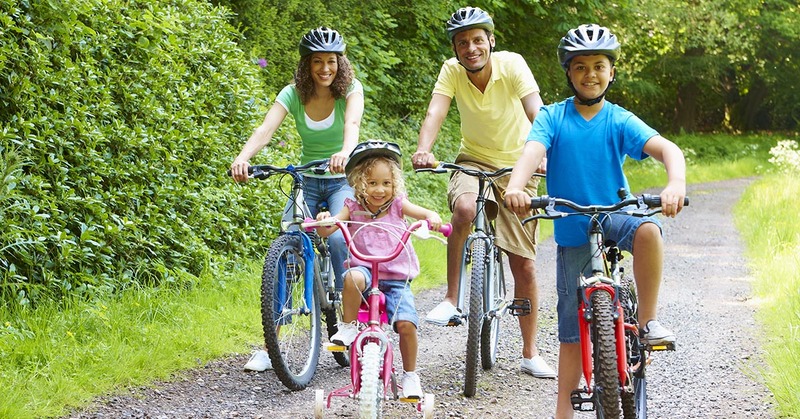 Asthma is a significant worry for many people in Chesapeake and for society as a whole, truly, since the Centers for Disease Control and Prevention (CDC) reports that this problem currently affects almost 19 million adults and 7 million children in the United States. A full-blown asthma attack likely means a hospital visit. Thankfully, Dr. David N. Block Family Chiropractic has helped many people in Chesapeake get relief from asthma symptoms. The medical research confirms what we see in our practice. For instance, a study published in Clinical and Experimental Allergy evaluated 31 adult asthma patients after receiving four weeks of chiropractic adjustments. The authors reported that the participants who received chiropractic adjustments had a 34% decrease in asthma symptoms. The Journal of Manipulative and Physiological Therapeutics published another asthma-based study, except this one involved children. In this article, the 36 participants ranged from 6 to 17 years in age and their asthma was regarded as either mild or moderate in severity. After 12 weeks of chiropractic adjustments, as a whole, the patients reported a higher quality of life and a decreased level of severity. As a bonus, they also reported that they relied less on their bronchodilator and these positive effects lasted one year after chiropractic care was finished. So, whether you're 7 or 70, if you have asthma attacks, be sure to contact Dr. David N. Block Family Chiropractic in Chesapeake and make an appointment today. We'll do what we can to help you breathe easier! According to experts, roughly 5 percent of the population will experience painful problems like frozen shoulder syndrome at some point in their lives. That makes shoulder-related pain a common occurrence and one that Dr. David N. Block Family Chiropractic sees in our Chesapeake office on a regular basis. Generally speaking, this condition is more prevalent for people in their 40s, 50s, and 60s, and it tends to affect women more frequently than men. While ice, heat, and gentle stretching can often times help relieve the pain, so too can chiropractic. For instance, a study published in the Journal of Chiropractic Medicine looked at 50 patients with frozen shoulder who were given chiropractic care. The duration of care varied from 11 days to 51 days, with 28 days being the average. Only one of the original 50 reported an improvement of 50 percent or less, so reports like this demonstrate just how beneficial chiropractic can be when it comes to decreasing shoulder pain and improving quality of life. Let Dr. David N. Block Family Chiropractic help you ease your pain by contacting our Chesapeake office and scheduling your appointment today. We help a lot of men and women with back pain in our Chesapeake office, and Dr. David N. Block Family Chiropractic finds that many cases of back pain originate in the sacroiliac (SI) joint. Investigation shows that about twenty-five percent of all back pain begins in the SI joint, and now new research confirms what we have noticed in our office: chiropractic is an effective way to treat this pain. In the study published in the Journal of Bodywork and Movement Therapies, 32 women with sacroiliac joint dysfunction were separated into two groups and asked to participate in one of two treatment therapies. The first group went through a chiropractic adjustment isolated to the sacroiliac joint, and the alternate group got an adjustment to the sacroiliac joint and the lumbar spine. Researchers noticed greater improvements in both pain and movement immediately after treatment, two days post-treatment, and 30 days after for the group who had been given high-velocity low-amplitude manipulation to both the sacroiliac joint and the lumbar spine. This suggests that chiropractic therapy administered in these two areas offers both short term and continuing results for sacroiliac joint pain sufferers—even after just a single treatment session. Therefore, if you are dealing with sacroiliac joint pain, or cope with back and leg pain and would like to find out whether your sacroiliac joint is the cause, a visit to our Chesapeake office may be the first—and best—step towards recovery. Give our office a call today at (757) 436-5428. What causes chronic pain after a car crash? Of the over 2 million rear-end collisions in the United States annually, a significant number of folks find themselves experiencing chronic pain and disability. Some studies have shown that 1 out of 5 people are still in pain 12 months after a collision. Dr. David N. Block Family Chiropractic sees many auto injury patients in our Chesapeake office, and we regularly see people who have been struggling for many years and have not been able to find relief. Dr. David N. Block Family Chiropractic has great success in treating these patients. During a collision, the structures of your spine can be stretched or torn. The injured area becomes swollen and irritated and sends pain impulses to the spinal cord and brain. Pain tells your body that something is wrong, which tells the muscle tissues in the damaged area to contract to shield the area from further injury. If the trauma isn't treated immediately, a negative cycle develops. The injured tissues keep sending pain signals and each time, your nervous system responds. This creates a feedback loop in your nervous system that specialists refer to as "central sensitization." Your nervous system actually becomes oversensitive to any kind of stimulation, causing chronic pain. Dr. David N. Block Family Chiropractic is able to help this kind of problem, as chiropractic care is a proven way to restore your nervous system's healthy functioning. Research shows that chiropractic is effective at relieving pain from auto injuries and shows that chiropractic in fact has positive effects on the pain centers of the brain. If you live in Chesapeake and have been in a crash, you don't have to suffer with chronic pain. Give Dr. David N. Block Family Chiropractic a call today at (757) 436-5428 for a consultation or appointment. Chiropractic is centered on the philosophy of enabling your body to heal naturally through spinal adjustments and lifestyle changes that encourage wellness. For Dr. David N. Block Family Chiropractic, this involves working to reestablish your body's healthy performance to prevent the need for drugs or surgical treatments. We see that many of our Chesapeake patients are pleased to find a natural answer for their health issues. One advantage of chiropractic care is that it helps people reduce or eliminate the use of drugs. 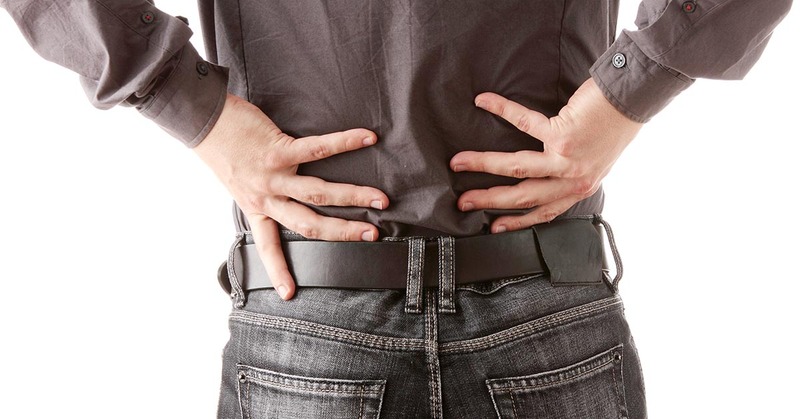 Prescription medications are frequently issued to individuals who have back soreness. This is such a serious crisis that the American Academy of Neurology (AAN) issued a news release stating that opioid (painkiller) risks outweigh the benefits when administered for back pain. Some of the most well-known narcotics, according to the National Institute on Drug Abuse, include hydrocodone (Vicodin), oxycodone (OxyContin and Percocet), morphine, and codeine. Data presented by the AAN mention the fact that roughly half of the patients taking these types of substances for a period of three months are still on them five years later. This can further complicate the difficulty of back pain and healing, particularly if an opiate addiction occurs. Compare that to chiropractic care which incorporates natural healing and the benefits are crystal clear. While a pill might be helpful at briefly suppressing the discomfort of a health problem, it's not a long-term solution to the problem. Drugs don't mend your injured back; it will only cover up the pain. Dr. David N. Block Family Chiropractic will first examine you to get to the source of your back pain and then work with you to solve the problem -- without any risky medications. If you're ready for relief of your pain, naturally, give our Chesapeake office a call at (757) 436-5428 to make an appointment with Dr. David N. Block Family Chiropractic.